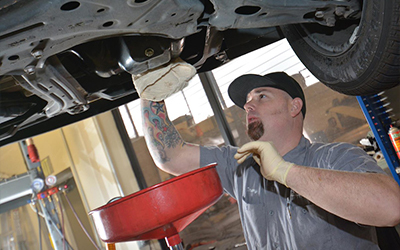 If you are searching for a company that can provide you with auto repair in Folsom, CA, our business, Shannon Family Automotive is for you. We have the ability to give you the Toyota service you need to allow your car to survive and thrive! What is it that you need repaired on your car? Even if you only need a service from us at Shannon Family Automotive, you should know that we are your go-to Toyota repair shop in Folsom. Different services we have range from transmission, cool system, water pump, battery testing, oil changes and factory scheduled maintenance. If any of these services are something that you would like to receive from your local repair shop in Folsom, CA, know that we are only here to help. Not only are we the best in town for you to get your Toyota service, but we can perform the best Lexus repair you are looking for as well. We have many years of service under our experienced belts, and we are in a convenient location just 1 mile from Folsom High School. We welcome you to visit our website now to learn more details about the repairs and services we are equipped to serve you with. Learn more about our company online and contact us with any unanswered questions you may have about how we can serve you. If you are ready to make an appointment with us here at Shannon Family Automotive, fill out the short request an appointment form on the right of your screen.